I am a very shy girl. In social situations I’m awkward, quiet, and generally über polite to a fault. Because of this, I have very few people that I can consider really great, close friends. But every once in a blue moon, I meet someone with whom I just *click*. Whether it be online or off, once in a while I just know that I’m going to become very good friends with this person. Bake the tempura shrimp for 12 minutes at 350°F, or as instructed on the package. 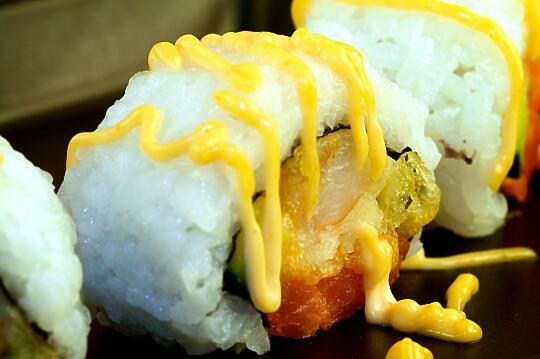 Remove the tails from the tempura shrimp. Slice the tuna into long strips, about 1 cm in diameter. 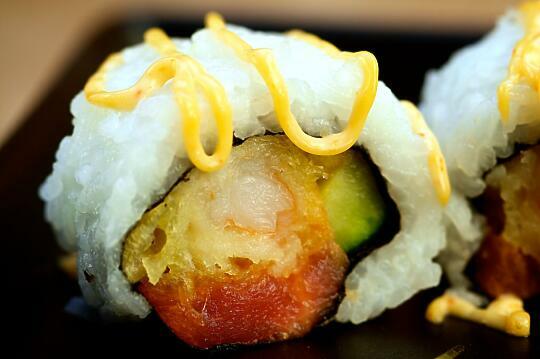 Roll the sushi inside-out, using 2 tempura shrimp, a strip of tuna, and a stick of cucumber as your fillings.